I work with a white mid-temperature stoneware body and fire all of my work in an oxidation atmosphere within an electric kiln. 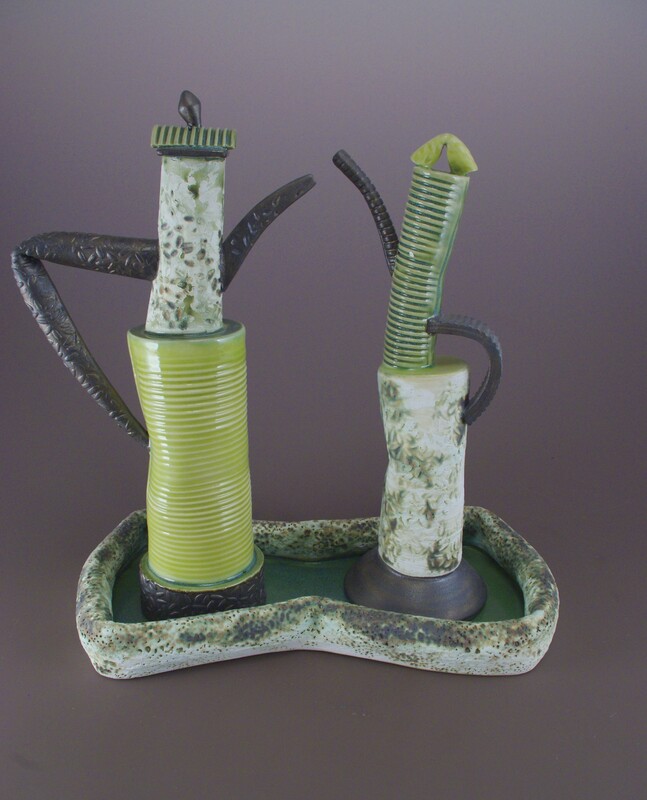 My work is primarily handbuilt, using soft slabs, that are textured using specific tools I have made. This piece is built freehand without the support of a mold. All of my work is very female based, therefore I see the teapot figure as woman; with position and gesture indicating the nuance of human behavior.